Laura Dawn is a cultural campaign strategist, digital strategist, director, writer, producer, and branding expert. As the the former Creative & Cultural Director of MoveOn.org and current Founder, CEO & Chief Creative for cultural strategy firm ART NOT WAR, Laura has spent the last decade leading groundbreaking cultural campaigns and making impact media, achieving over 500 million online views of her direct work and hundreds of millions of dollars of earned media for her clients. Laura served as the Creative & Cultural Director of MoveOn.org from 2003 – 2011. Her work as part of the original staff of 7 helped to grow the organization from 500,000 members into an eight million-member progressive powerhouse. Her forte is viral content creation, digital organizing, and high-level strategic collaborations between renowned artists and grassroots activists that help not-for-profits garner earned media, bolster public awareness and spur action for social change. 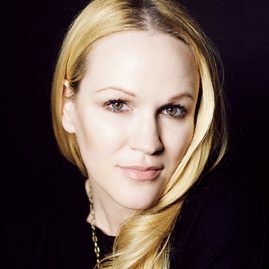 In the past three years, Laura Dawn has directed over 75 online videos and mini-docs, won 11 Pollies, winning the coveted “Best in Show” Pollie Award for 2012 Ad of the Year for her expose on child trafficking, “Backpage.com’. In the past 14 years, Laura has served as producer and creative director for over 500 media pieces, produced two documentary features, and directed/produced a short documentary on the first transgender sprint car driver. In 2016, Laura created and served as Executive Director for Humanity for Hillary, a social media campaign that within three months had an online audience reach of 275 million, 1.2 billion media impressions, with videos and memes viewed more than 50 million times. She currently serves on the Advisory Board for The Climate Mobilization and The Hometown Project. Awarded the Paul Wellstone Citizen Leadership Award of 2004 for the 2004 Staff of MoveOn.org, articles on Laura Dawn & her work as an activist have been featured in Vogue, LA Weekly, the NY Times, Village Voice, Time magazine, Salon, & USA Today. Laura has been a speaker and panelist on the merger of artists and online activism at the Venice Biennale, the Guggenheim Museum, Tokion, the Sundance Film Festival, Carnegie Hall, & many others. She has two political ads in the Museum of the Moving Image and one induction into the 2012 Political Ad Hall of Fame from ABC/ CLIO.